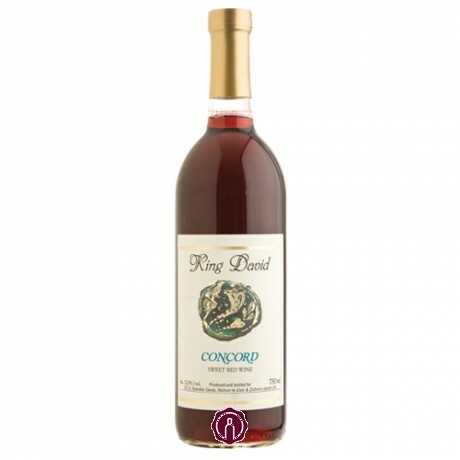 King David Concord is a traditional sweet red Kosher wine made in Israel by the Carmel Winery. The grape varietal is the native American Concord, transplanted to Israel. The Carmel Winery was founded in 1882 by Baron Edmond de Rothschild. King David Concord has a dark red/purple color and the nose is typical of this varietal. It is very sweet with a lasting finish. Serve King David Concord chilled with full flavored beef, veal, or chicken dishes, as well as pasta and cheese.